The Argentinian superstar, who chalked up three goals and four assists in five matches, will pick up the award on Saturday before kickoff of Barça vs Sevilla. GET TICKETS HERE! 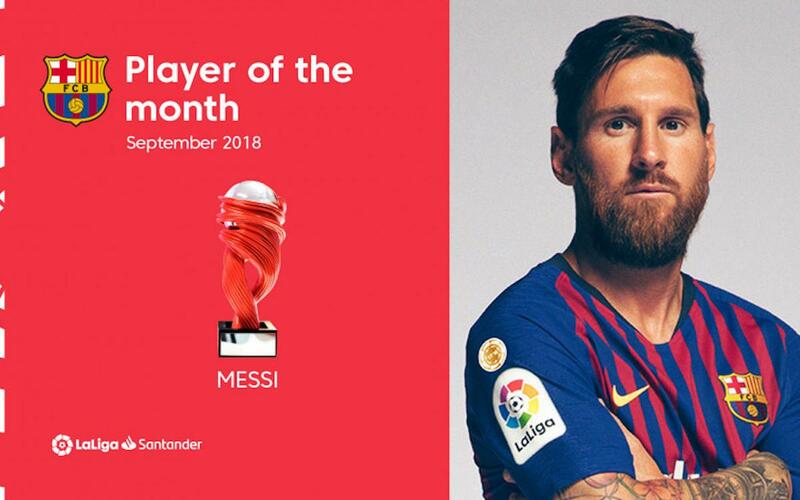 Leo Messi was named La Liga player of the month for the fourth time since the award was created in the 2013-14 season, following a September full of achievements for the Barça captain. In five games, Messi scored three goals and handed out four assists. Messi will be handed the award this Saturday at Camp Nou before kickoff of Barça’s match versus first-place Sevilla. Kickoff is at 8.45pm CEST.